This poster was created as part of "Inkthology", a collaborative anthology comic created by Inkpot, a studo in which I am one of the resident artist. You can read more about Inkpot (And the Dundee Comics Creative Space) HERE. The pinup features various characters from all of the short stories in the anthology. 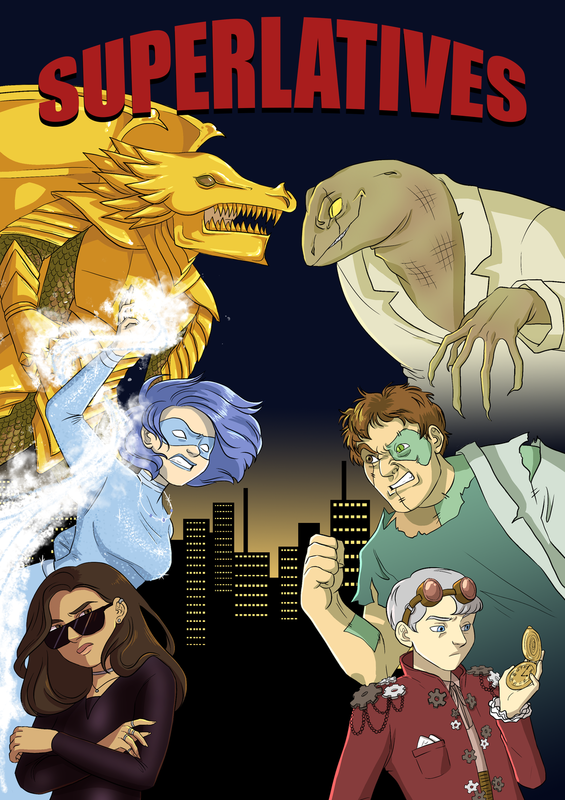 This poster was commissioned from me for an upcoming D&D style indie board game called "Superlatives", in which the gameplay is inspired more by superheros, supervillans and comics, rather than traditional fantasy!